Denim on denim is one of those trends you really have to be cautious with when wearing head-to-toe, You can either look cool, chic and effortless or you can look like a 13 year old girl from an 80’s movie. One of the classic ways to wear denim on denim, is combining denim shirt and trousers/short in a similar shade of blue. It’s classic, its simple and its over done in my opinion. How about jazzy up the look with a pair of patchwork denim trousers or wearing two completely different shades of blue denim. To really stand out add a coloured denim. 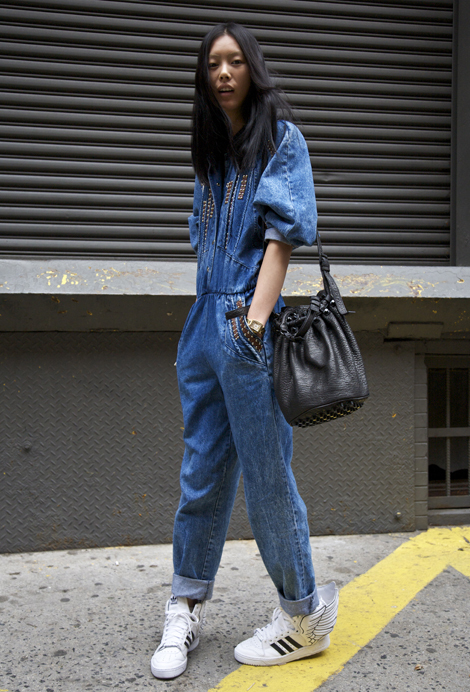 Or if you’re like me and you don’t like to make too much of an effort how about throwing on a denim one piece. 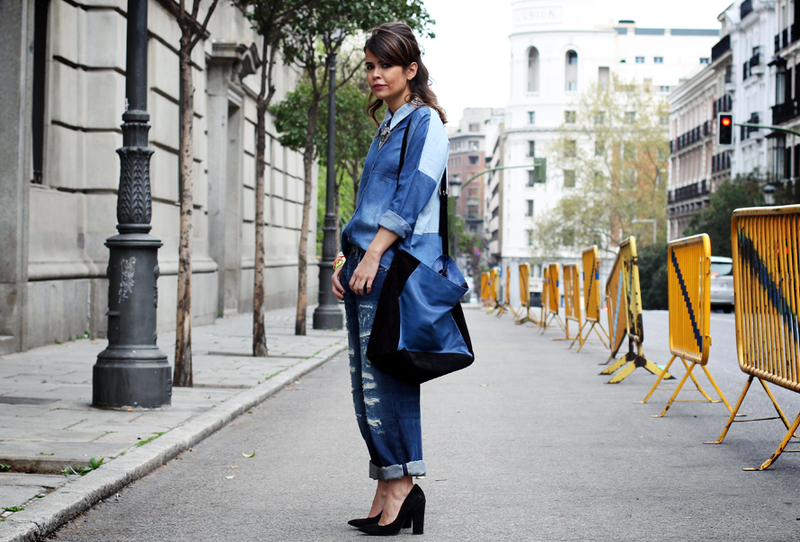 Its the easiest way to wear denim on denim this Spring-Summer.